I was doing some experiments with Arduino connected to WiFi using ESP8266 module. The priority of my experiment was to establish MQTT communication with my local MQTT server and Arduino. I tried so many Arduino libraries for ESP8266 but none of them are compatible with PubSubClient, a good MQTT library for Arduino. Today I come across a library called WiFiEsp, it has similar footprints of Arduino WiFi library, and it can work with PubSubClient. This post deals with how to utilize both PubSubClient and WifiEsp libraries to establish MQTT communication with an MQTT server. I powered ESP8266 directly from my Arduino’s 5V. You shouldn’t do that, it may damage the wifi module as it deals with 3.3v. This wifi module need more current than Arduino’s 3.3v pin can provide, so connecting Arduino 3.3v to Wifi module will not work. A good option is to connect Arduino 5v to a 3.3v voltage regulator like LM1117/LD117 and power the wifi module from LM*. Connect both VCC and CH_PD pin of ESP to 3.3v power. ESP8266 GND to Arduino GND. If powering ESP externally then Arduino and ESP should have a common GND. ESP8266 TXD to Arduino RXD, in the below sketch I used Softserial and connected to D2. ESP8266 RXD to Arduino TXD. Arduino Pin supply 5v and can damage the wifi module. So I used two resistors to create a voltage divider (Google search and you will get it). In the below sketch I used Softserial and connected to D3. 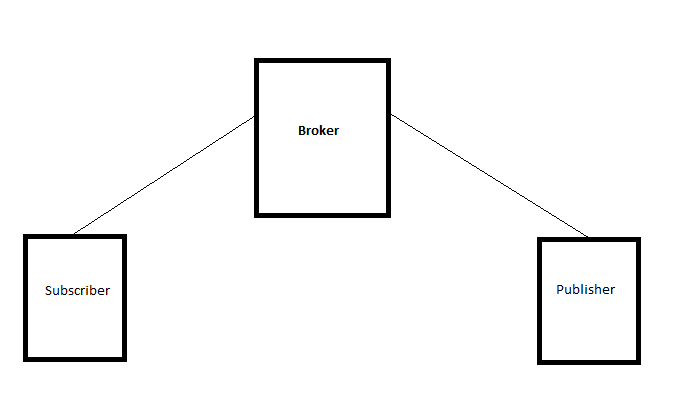 I decided to write a sketch to see the MQTT in action. Below sketch is just a combination of samples provided in WifiEsp and Pubsubclient. I just combined both sample codes to verify the communication, so nothing special. The end result is, Arduino could establish MQTT connection to my MQTT server and send and receive messages for subscribed topics. For testing MQTT communication, I wrote a Server and a Client couple of months ago, both are node js apps and can run in my development machine. Server uses Mosca and Client uses MQTT module. Below is the code for Server and Client. As you can see, server uses Mongodb to persist the client connection, run a mongodb instance before running MQTT server.